From their new Headquarters base at the Bougainvilla Marina and Hotel complex in Clifton, Union Island, highly recommended Erika’s Yacht Agents offers extended shore support throughout the region, with networked shoreside agents at every port in the Grenadines. 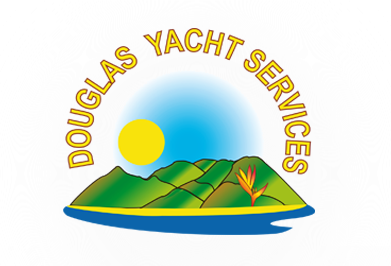 Douglas Yacht Services in Martinique comes highly recommended for ALL your service needs - offering everything from provisioning, medical support, fuel bunkering, technical engineering management to amazing island tours & extensive welcome packs, Douglas & his team really are dedicated professionals. Recommended by many yacht crew as being the most convenient place to buy local network SIM cards, Geny’s is located on the corner at the main junction of Falmouth Main Road & the turn off to English Harbour. Lady Telecom are still one of the leaders in telecommunications and the English staff here continue to come well recommended for providing a very helpful and efficient service. As agents for ‘Movistar’ they can supply mobile phones on contract or Pay as you Go, they can organise most things for visiting crew, without a language problem!